I promised to continue with my alphabet listings and here's my "I" offering - Iford Manor in Wiltshire. To be honest, there aren't many gardens beginning with this letter, and I've never done a full posting on Harold Peto's garden, even though I've featured other gardens he's associated with. 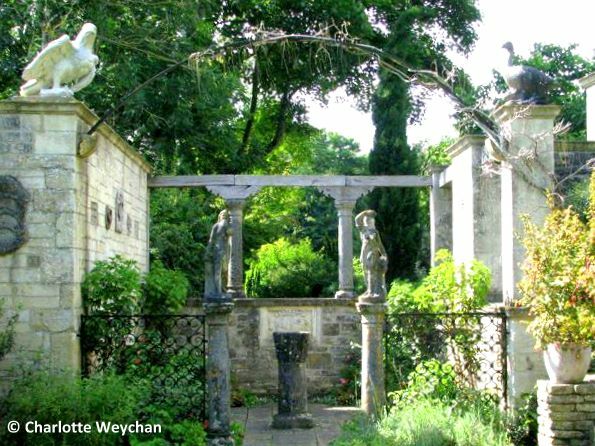 This garden is as theatrical as any I've seen (including The Laskett) with its extraordinary statues and monuments acquired during Peto's travels abroad, during his time as an architect. But it's also interesting, intriguing and inspiring. 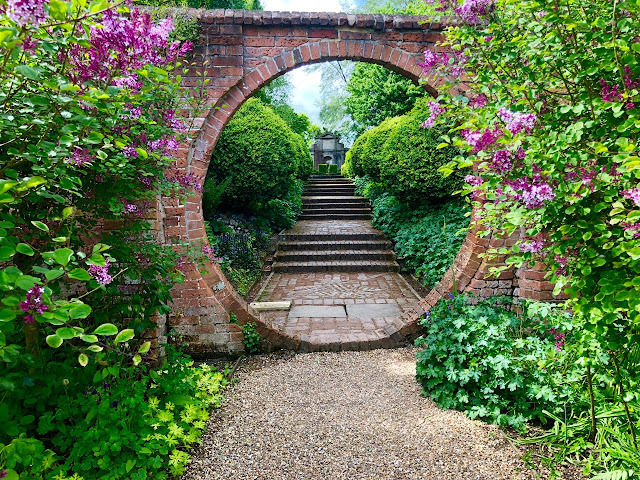 Harold Peto grew up at Somerleyton Hall on the Suffolk Coast; he trained as an architect alongside Edwin Lutyens, and later formed a partnership with Ernest George; and finally bought Iford Manor for himself in 1899. 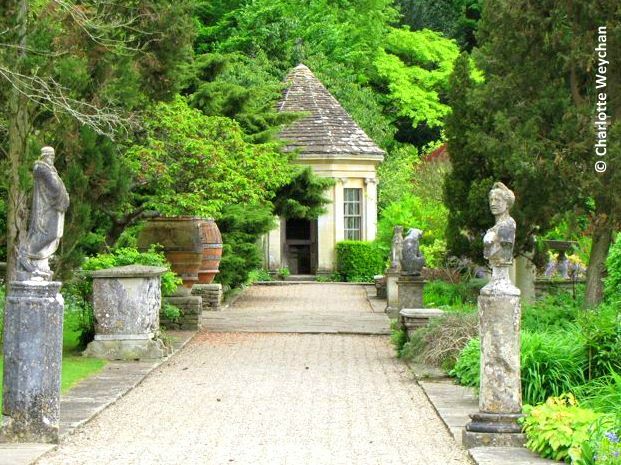 But it is gardens that he is remembered for, rather than his buildings, including Buscot Park, where he designed the stepped water garden; Easton Lodge in Essex, which is currently being restored and another "I" in Ireland - Ilnacullin, which I have yet to see; and the magnificent pergola at West Dean. Peto was born in 1854. His father was a civil engineer, who made and lost a fortune in Victorian times, but is probably best known for Nelson's Column in Trafalgar Square. Harold trained, travelled and worked as an architect in the intervening years before moving to Iford Manor in Wiltshire at the end of the 19th century and he then remained here until the end of his life in 1933. The house is in an idyllic, although tricky garden situation - built into the side of a steep hill and overlooking a valley. 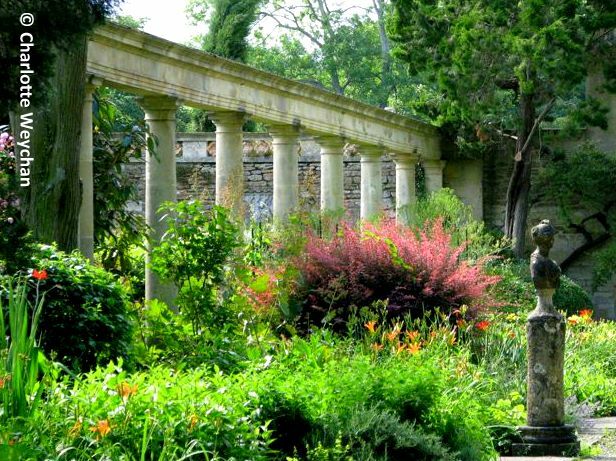 However, it's been designed to show off his statues and stage settings to full effect and is now a private house (not open), that shares this historic garden with the public on selected week days during the summer months. 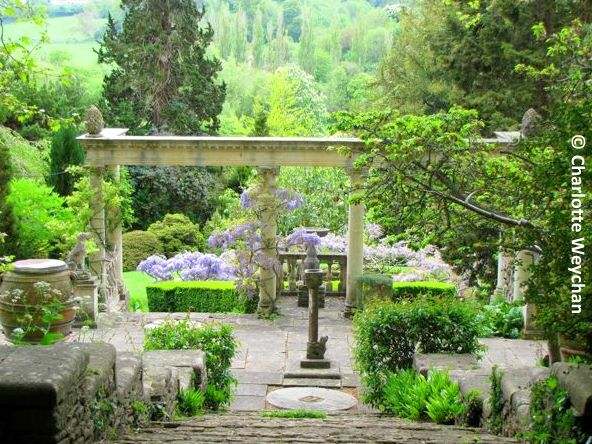 It is entirely due to the present owners that this garden is in such immaculate condition. 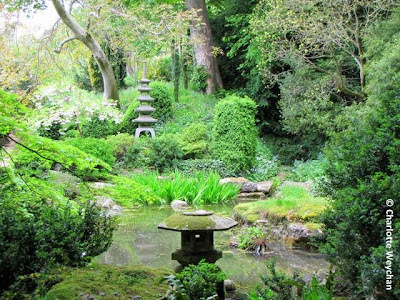 Peto had always been an active traveller and in 1898 he visited Japan, where the gardens obviously had a profound influence on him since he returned to the UK and created a Japanese garden at his own home (below) and at Easton Lodge in Essex. In his manuscript "The Boke of Iford", published posthumously, Harold Peto. says: "Old buildings or fragments of masonry carry one's mind back to the past in a way that flowers cannot do. Gardens that are too stony are equally unsatisfactory; it is the combination of the two in just proportion which is the the most satisfying." 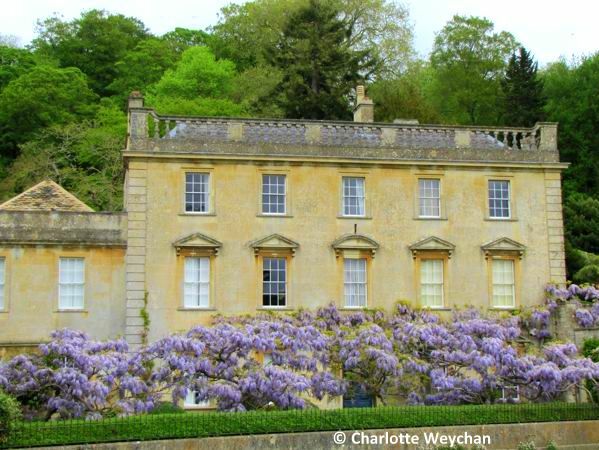 And he spent the latter part of his life implementing his words at Iford, where you see how he combined plants and architecture. 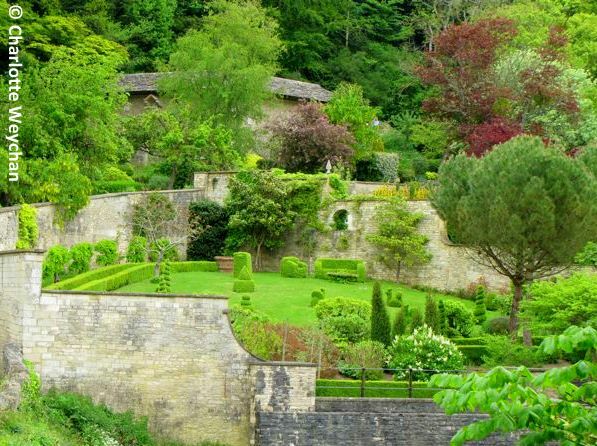 Today Iford is not just a garden that opens to the public (every day except Monday and Friday during the May-October season), but is also home to the annual Iford Arts Festival, which hosts opera and jazz events in an idyllic setting during the summer months. But even if you can't make it for one of the evening concerts, this is an absolute "MUST SEE" garden - there's nothing else like it anywhere! I love the floating mass of wisteria in front of the house. The Laskett has been on my bucket list for a long time - this is clearly another one for the list - magical! Breathtaking! Love the pergola and the colors in the picture of the Manor house and wisteria. This is called a true garden.very natural beauty. 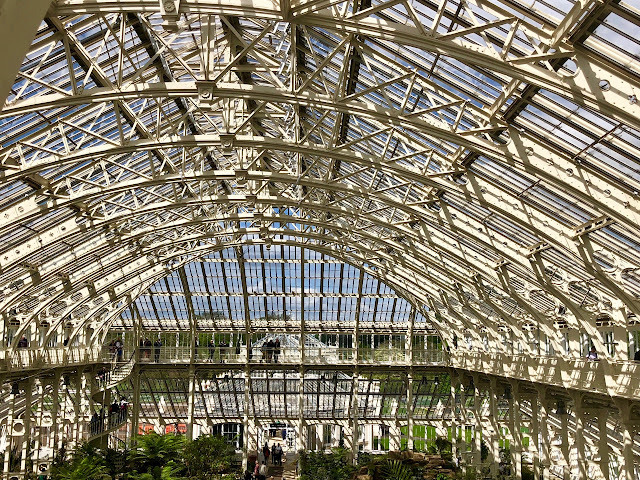 This really is quite an astounding place. A must see if only I could. Thanks for the virtual tour. Many thanks indeed for all your kind words and beautiful images. Do drop in again if you are ever passing by!